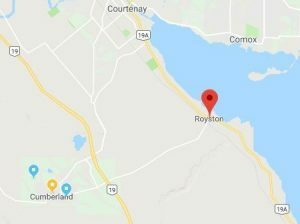 My homeopathic practice is based in Royston, BC, Canada. Royston is a small and lovely town South of Courtenay on Vancouver Island. I also provide long-distance treatments via telephone or Skype, although in-person appointments are preferred whenever possible. A homeopathic treatment is based on your unique needs and requires a trusting therapeutic relationship between you and your practitioner. A successful treatment will not only reduce or remove your symptoms, but will strengthen you and create a general feeling of well-being. I dedicate to you all of the knowledge and experience that I have gained in more than 30 years of medical and homeopathic practice. I am committed to your healing. I will guide you when you feel stuck; I will be on your side in times of crisis, and all the way, I will support you with homeopathic remedies which will make it easier for you to move from a state of limitation to the freedom of being you. A homeopathic treatment involves cooperation between patient and practitioner. In order to have maximum success, your commitment is essential. Yoda in Star Wars says: “Do or do not. There is no try.” This applies to all of life, and homeopathy is not an exception. A half-hearted try might not bring you the results you are hoping for. (I have to admit that I have never seen Star Wars. I heard about this saying of Yoda and I loved it). Do you have to believe in homeopathy for it to work? Definitely not. What is needed is openness. Homeopathy is very successful in treating babies and animals. They do not believe in it; yet, they are open. I offer a free preliminary consultation of 30 minutes. This appointment helps you to decide if a homeopathic treatment will serve you well. You can discuss your specific problems and ask any questions you might have. I can tell you if I think homeopathy can help you and what your specific treatment might look like. This includes: the initial consultation of 2 to 3 hours or longer if necessary, the analysis and case workings no matter how long it takes, a short follow up after 2 weeks, a complementary book about homeopathy and the remedy for the first month. The initial consultation is a thorough case-taking, providing you with a confidential environment where a trusting therapeutic relationship will be built. I will ask you to relate your condition in detail and describe how it affects you. I want to hear about current and past health issues as well as your family health history. Your personality, moods, and reactions to different situations, environments, or foods will also be considered and will help me understand your unique health needs. After the consultation, I will study and analyze the information in order to prescribe your remedy. You will also receive a complementary book on homeopathy that provides additional information about how to make your sessions a success. These take about 45 minutes to one hour. Initially they are monthly; later they occur over longer intervals. The remedies cost about $ 15 per month. Additional Consultation, E-mail Communication etc. – $ 20.00 for each 10 minute period. Sometimes acute problems arise, such as an injury, a flu-like illness, or an acute emotional situation which necessitates additional intervention. The fees are for a consultation up to 10 minutes $20.00, for a consultation between 10 and 20 minutes $40.00 and so on. E-mail communication is being billed in the same way according to the time required. In-person appointments are available in Victoria and Comox, and I also treat people internationally via telephone or Skype. I prefer initial assessments in person, but this is not always possible. The fees for long-distance appointments are the same as for in-person appointments. Homeopathic Treatments: Please visit the My Practice and Cost of Services pages. Presentations: Roland is well-experienced in giving presentations about homeopathy, C4-homeopathy, certain diseases, nature, as well as healing with herbs, minerals, and animals. He has given presentations in Canada, the US, and in Europe. To inquire via email click here. Homeopathic Teaching: Roland has been teaching homeopathy for almost 20 years now. In Germany, he taught homeopathy mainly to medical doctors. He is currently teaching at the Western College of Homeopathic Medicine in Calgary, AB. Homeopathic Research: Roland has been involved in the introduction of a number of new remedies into homeopathy (Red Ochre, Bison, and many more). He is continuously conducting C4-Triturations / Shameeah ceremonies in order to find out about the healing properties of new and old remedies. If you have questions regarding homeopathic research, please send him an email. He also does research about specific issues – for example, diabetes and addiction. During this research, he has found astonishing new information. Shameeah Ceremonies / C4-Triturations: Roland offers regularly workshops in which you can experience nature in a very intimate way. In C4-Triturations – Roland prefers to call his own style Shameeah ceremonies – participants can communicate with a mineral, a plant or an animal. For more information, visit the Shameeah page. Nature Walks: Roland has been leading naturalist excursions into nature since he was in his early 20s and still loves to do this. It is a special kind of adventure to hear him talk not only about the biology of plants and animals but also about their healing properties, their use in Western and Indigenous cultures. He has a wealth of knowledge to share, sharing stories of his own experiences as well as the wisdom in the mythological stories of First Nation peoples. For more information about Roland’s Nature Walks in Victoria BC, please click here. Sign up for my newsletter and receive insights and information about nature, healing, spirituality and homeopathy.